Thought I’d build a Big Muff variant. This one is designed for both bass and guitar players. ie it will let in ALL the low end if desired. 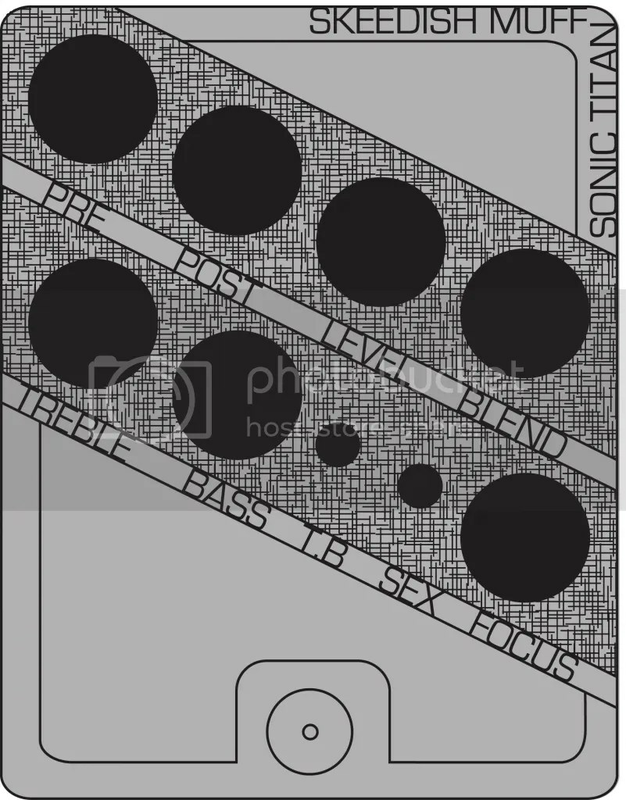 Blend control: for bass – to get that low end in. Different tone control: instead of the original passive 1 knob, now an op-amp based Treble and Bass. Tone Bypass: Again, let the low end in! Focus: Controls the low end entering the circuit ie from muddier to tighter/treblier. 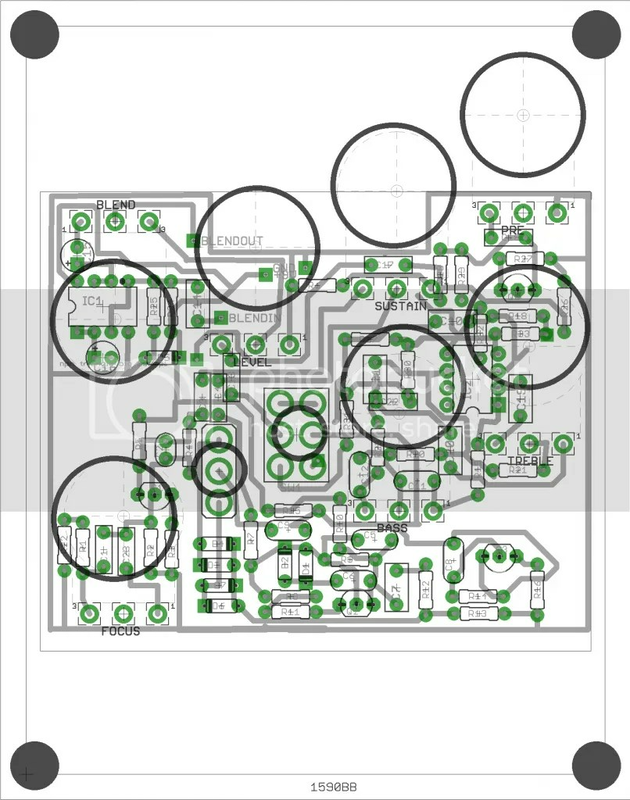 Here’s the PCB – took many many hours to get a single-sided layout with board mounted pots.